Italian voters resoundingly rejected constitutional reforms proposed by Italian Prime Minister Matteo Renzi on Dec. 4, leading Mr. Renzi to announce his resignation. Roughly 60% of Italians voted "no," higher than the polls projected and ending efforts to overhaul Italy's profoundly dysfunctional governance structure. Italy's economy hasn't grown in a decade. Voters decided to follow a path that will likely bring the populist Five Star Movement, which campaigned against Mr. Renzi and his agenda, into power with a platform that includes a nonbinding referendum on Italy's European Union membership, an end to EU-mandated government spending limits, and income guarantees for all citizens (of course, like all populist and progressive movements, it doesn't offer a realistic pro-growth agenda). Polls suggest that Five Star has roughly the same level of support as Mr. Renzi's Democratic Party if parliamentary elections were held today. Coming a few months after Brexit and less than a month after Donald Trump's election, the Italian vote is the latest indication that voters' patience with the status quo has run out. The worm has turned. We're seeing a massive backlash against the establishment. So far, that hasn't translated into market instability – in fact, equity markets rallied after the vote, something that many people, myself included, did not expect. But long term, we're looking at a very different story. Here's what's going to happen – and how to profit. While Austrian voters rejected a far right presidential candidate on Dec. 4, upcoming elections in France and Germany may further an anti-establishment agenda that opposes open borders and the overbearing and intrusive management of the European Union. French presidential candidate Francois Fillon is promoting an economic program that challenges the socialism of failed president Francois Hollande (one of the least impressive men ever to hold high office in the world). German Chancellor Angela Merkel faces a tough election in which she will be forced to defend immigration policies that changed the nature of German society. 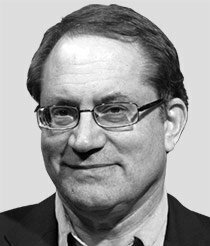 These challenges to political orthodoxy (socialism is considered normal in France, which explains France's pathetic economic record) come as the flaws of the European Union and the failures of the European Central Bank's quantitative easing and zero/negative-interest-rate policies grow more apparent by the day. 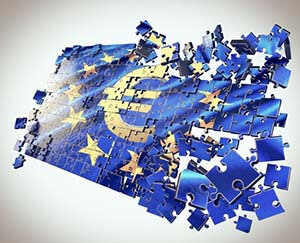 Today, the European Central Bank announced that it is extending QE through the end of 2017 but reducing its monthly purchases to €60 billion ($63.8 billion), an amount that is becoming increasingly difficult to achieve in Europe's illiquid bond markets. European bond markets sold off on the news, with yields rising over 10 basis points in early trading. While Italian voters appear headed down a dead end in supporting a party like Five Star, French voters have a much more constructive alternative in Mr. Fillon, who understands that free markets are the only way forward to a better economic future.